Yes again I am back with another review on an oil. If you are following me on Instagram then you must be knowing that I am obsessed with oils these days. And trust me oils can be the bestie for your skin if you use the right oil. 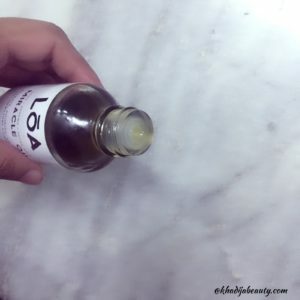 As you can see in the title, today I am going to review an oil from a brand called LŌA. This is not like any normal oil but you can call it as a medicinal oil too. I will discuss it in detail below but before that let me first talk about this brand. Currently running as a one-man show, Spencer Angeltvedt conceived the idea to create Lōa years ago. Although it has gone through many name changes before its inception (some pretty hilarious ones), the direction has always remained clear: Finding answers to common problems. Miracle Oil combines over 15 organic botanicals to deeply hydrate, nourish and calm inflammatory skin conditions. It’s enriched with omega-3 and 6 essential fatty acids and cell-regenerating phytonutrients, which have been clinically verified to restore the skin’s moisture barrier and significantly improve acne, eczema, and psoriasis. Most people with these inflammatory conditions have an omega-6 fatty acid deficiency in their skin, which is one of the main underlying causes. This miracle oil comes in a basic glass bottle with screw cap. There is a safety cap with a hole inside which makes it easy to use. Basic yet user-friendly packaging *loved it* The oil is olive green in color. It has a dominating smell of safflower oil with a mixture of other oils. Miracle oil has a medium consistency and it is not at all sticky. Not even 1% sticky. I have an oily T-zone and after applying on my face it doesn’t feel oily. Claims of Miracle oil and does it work as per the claims? 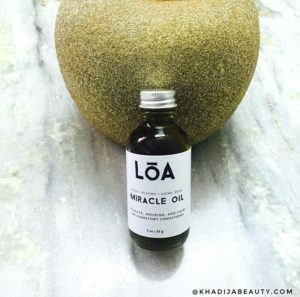 Miracle oil claims to treat acne, eczema and aging skin. I was dealing with acne but currently, I am not facing any acne problem( Alhamdullilah) so I can’t comment on how it works on these claims. But I have heard from my fellow bloggers that it actually treats acne. You can see the before and after image on LOA site. It also claims to hydrate, nourish and calm inflammatory conditions. And I would say it does more than just hydrating. I use this miracle oil all over my face before going to bed and the next morning my skin feels baby soft and healthy. I have also noticed an improvement in my skin texture after 4-5 days itself. Since I am using it at night I apply 4-5 drops of miracle oil and massage it well into my skin. You can feel your skin smooth immediately after massaging this oil into your skin. As I always prefer extra hydration at night I use it in more quantity but still, miracle oil doesn’t make my skin feel oily and sticky. My face looks oily and shiny (I don’t care, anyways I am going to sleep right?) but it doesn’t feel oily. This is really strange and impressive too. 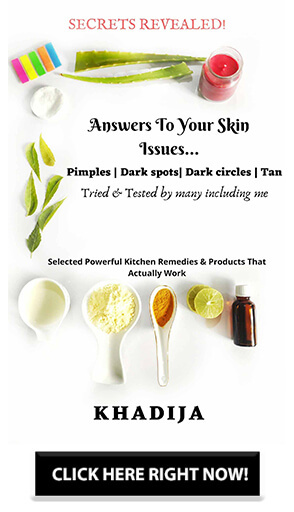 If you want to improve your skin texture then you should try this for sure. Does Miracle Oil really calm the inflammatory conditions? The answer to this is a very big YES❤️ And you will not believe how fast it works. My mother occasionally gets skin irritation( itchy feeling) followed by inflammation. Last night she observed some random red bumps around her neck and she applied this before going to bed. To her surprise, those red bumps disappeared the very next morning. This oil has lived upto its name “Miracle Oil”✨ So if any of you guys are dealing with such condition then this miracle oil may help you too in some miraculous way. Makes the skin soft and nourished both from inside out. 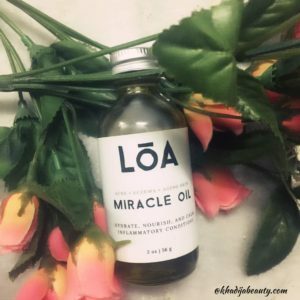 This miracle oil is a must have oil for people with dry and problematic skin. It can be used as extra supplement by oily skin people like me to make their skin beautiful and healthy. I would highly recommend everyone to give this a try without caring about your skin type. Pingback: Benefits of using organic makeup and beauty products| Worth the Hype? I wanna try this on my acne pron skin just that it’s bit pricey ? adding in my wish list for now ? Really it’s a miracle oil. It’s a must try.